Dubious Wills Cause Major Problems | Bauer Law Office, P.A. A wife set to receive a probate allowance found herself receiving less than what she was entitled to when her husband decided to flee to Florida, declared bankruptcy and then passed away under unusual circumstances. The case became further complicated when it was revealed that the husband’s series of wills were in fact dubious. Because the husband had fled to and was living in Florida, the wife was therefore entitled to a smaller allowance. After separating in 2010, the husband and wife went through a drawn out and acrimonious divorce, though the divorce was never finalized. The husband moved to Florida the following year and ended up filing for Chapter 11 bankruptcy protection, usually used by businesses but also by wealthy individuals. Per court documents, the husband interfered with the bankruptcy restructuring officer’s efforts to organize his personal and business finances. Besides his bankruptcy filing the husband also left behind a total of seven wills, none of which named his wife as an executor. The validity of each of them was questionable, with none of them being probated. Because the wills had not been probated, the wife was instead awarded an allowance based on the husband’s “probate estate”, the exempt assets that would have been sent to the probate court had a probate court taken jurisdiction. Of the original $500,000 sought by the wife, she was instead awarded the much smaller amount of $18,000. 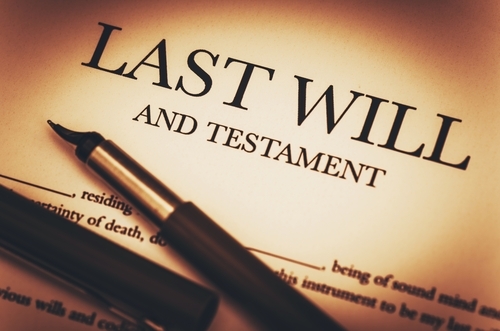 Although this may be a more extreme or unusual case, it signifies the importance of working with a South Florida probate assets attorney who can represent you in probate situations like this one and make sure your will is legal and legit. This probate update is brought to you by Bauer Brofsky Law firm, a Florida estate planning attorney. Some of our areas of practice include estate planning as well as criminal law, tax planning, personal injury and real estate law. Call 305-712-7979 for a case evaluation or for any questions you may have.